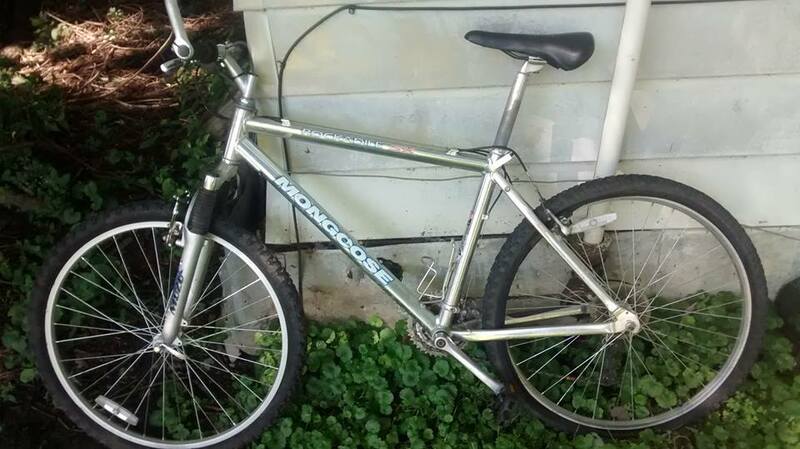 Looking at a cheap priced older mongoose rockadile on a swap shop. It is 25 bucks and I figured it would be a great SS project for later if it wasn't a member of the cheap wal mart mongooses. I see it has a quill stem so that makes me think early 90s? Can anyone tell me if this was a good bike in the day? Even at $25 if it is a wal mart bike I won't waste the money. Waiting on seller to reply to me so I hope someone sees this soon and can help. Meh. i would hold out for something better. i have no knowledge or experience with it, but it looks pretty cheap. if your planning on using it as a SS commuter maybe, or a bar hopper your not worried about getting stolen maybe, but for trail use... no thanks. there's better stuff out there. now i'm confused. it looks like the older ones were nicer? the first couple i found were either high tensile steel or aluminum and cheap, then i found this.